There are some things humans were not meant to understand. Things that exist beyond the logic of our reality, in their own worlds. Time doesn't function the same way. Logic breaks down. This is the New Weird, a genre of fiction populated by stories like Annihilation and the most recent season of the legendary TV show Twin Peaks. It's a sort of modern Lovecraftian sensibility. Stories like these ask us to accept that things might not have easy answers, that things might not make sense in the way we expect them to make sense. These stories are hard to capture as text and even tougher to capture as movies and television. 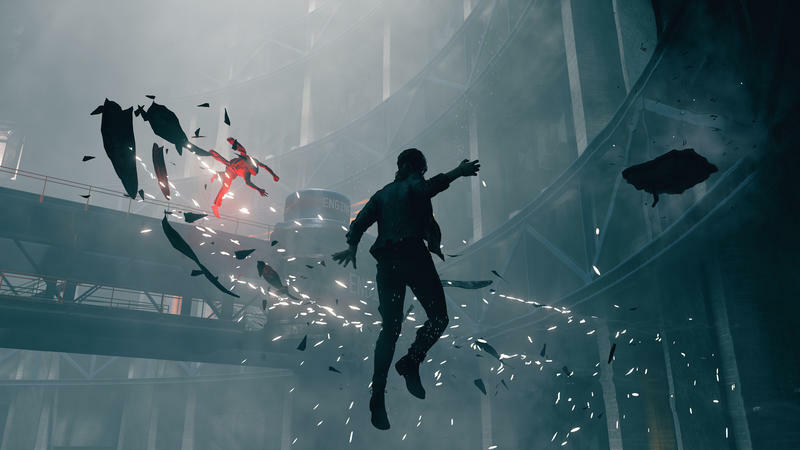 Remedy, the creators of games like Max Payne, Alan Wake, and Quantum Break, want to immerse us in the inky blackness of the unknown complete in their upcoming game Control. 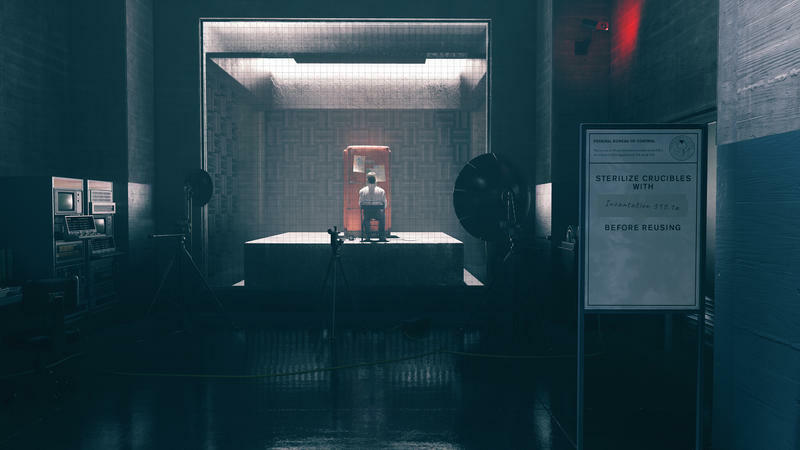 Control is the story of Jesse Faden, the new director of the Federal Bureau of Control, an organization that exists specifically to interface with the unknown and keep its connection to our world under control. Think of it kind of like the Men in Black, but taken five steps, maybe a mile further. They handle the unknowable. In the live demo we watched, Faden is facing off against something called the Hiss, an entity that is taking over and corrupting the Bureau's headquarters, a place called the Oldest House. To give you an idea of the way things work in the Oldest House, one scene has Jesse performing a ritual in a huge storage room, only to find herself in a motel corridor. Spotting a black pyramid on one of the rooms' doors, she goes to the front desk and grabs that room's key. She opens the door to find a painting. She pulls on a string dangling from the ceiling and is now in the painting – on the other side of the painting. Yeah, things are weird here. Control, right now, feels like the pinnacle of everything Remedy has been working on for the last two decades. 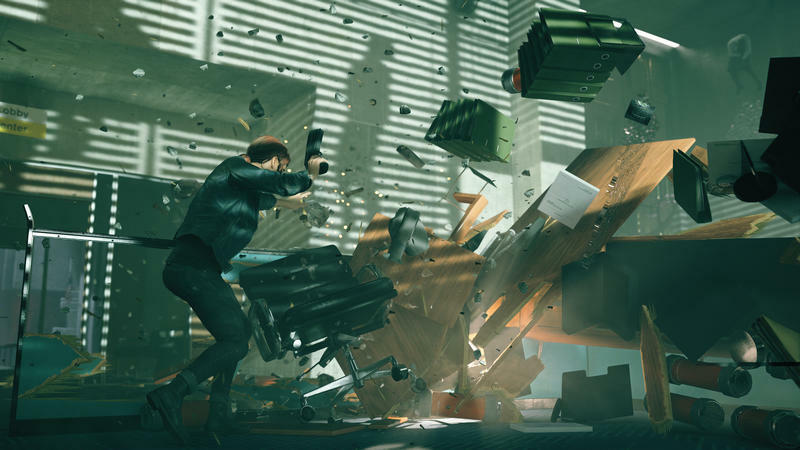 It takes supernatural cues from Alan Wake, the basic idea of gun combat from that and Max Payne, and leverages the game engine the company built for Quantum Break, Northlight, along with everything the team learned creating that game. For those of us who have followed the company's work for years, this might end up being the ultimate Remedy game. But it's not just Quantum Wake or Alan Payne. It's more than the sum of those parts. The team pulls influences from places like the aforementioned Twin Peaks and Annihilation, but there's a specific influence that "Weird" fans who spend a lot of time online are going to hook into: The SCP Wiki. If you haven't encountered this strange piece of fiction, the SCP Wiki is a collection of what the internet has collectively decided to call "creepypasta," a word meant to describe horror and weird fiction created for and meant to be shared via the internet. SCP revolves around an idea similar to that of Control and Syfy shows like Warehouse 13. It's a database of documents, all redacted in some fashion, describing weird objects that have been found, recovered, and contained. A humanoid shape made of concrete and rebar that requires at least three people to be watching it at all times, an endless staircase, or even a toaster that everyone refers to from the perspective of the toaster. I talked to Game director Mikael Kusarinen to find out a bit more about what it is that inspires his team to keep going back to this weird stuff. 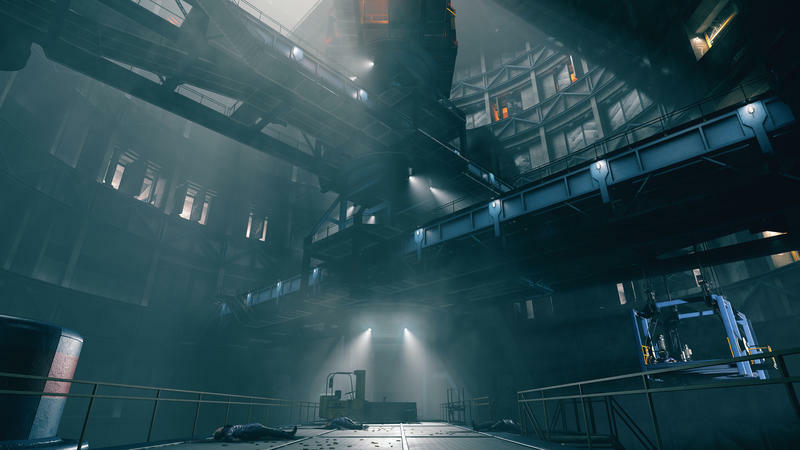 "At the heart of any remedy experience is that there's a mystery that we personally get excited about, and I think what makes Control different in a way, compared to other games that we've done, is that we follow this new weird thinking, the literary genre called new weird… There's this sense of mystery, of the unexplainable. And when you say unexplainable, we really mean it, it's really maybe impossible to explain, and that's what we want the emotion to be. 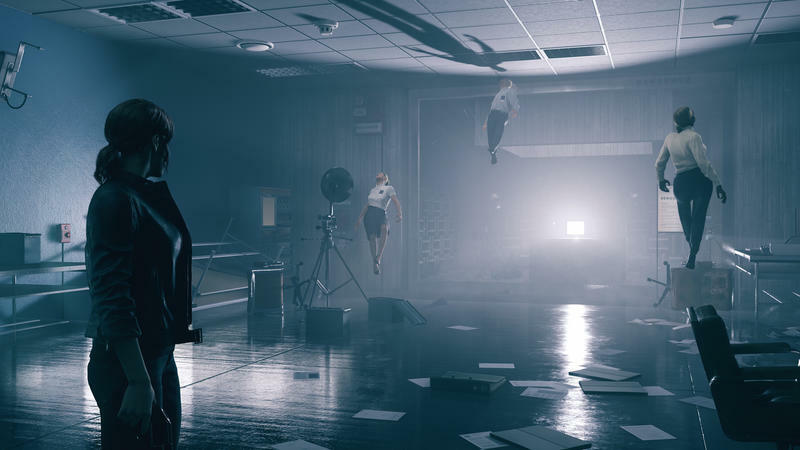 We want people to be engaged by what they see and experience, and I think Sam [Lake, head writer and creative director at Remedy] agrees with this, from a creator perspective, we don't want to give straight answers. There's logic behind everything, it's carefully thought through, but we want to be selective of how we express that to the player, and it's just the thing that gets us excited. We don't want to delve into stories that are… easily digested. It doesn't create a lasting feel of the experience. We want questions to linger, we want people to be obsessed [with] the universe. They see contradictions, things that don't quite fit, they create theories, they speculate. Even when you're doing playing, you keep thinking about the game." The invocation of the SCP Wiki and that idea of a facility of unexplainable items, opens up a way to play the game that Remedy has never explored before: the Metroidvania. 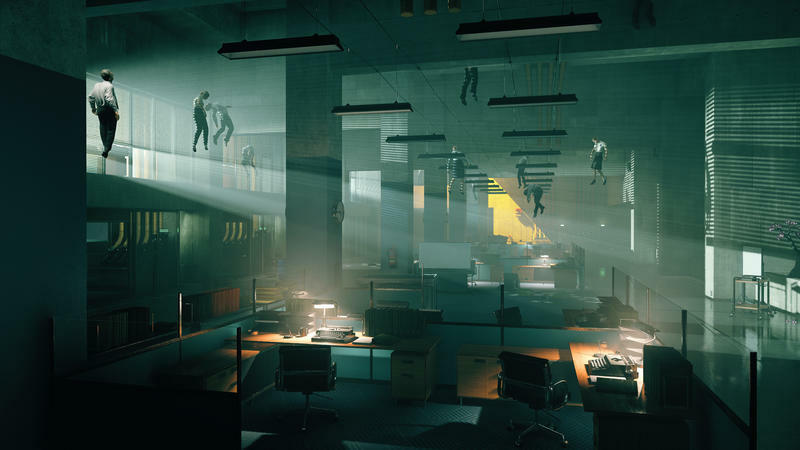 Remedy's games have always been pretty linear, taking you from one area to the next, down a corridor, into a battle. They're well paced, they're fun to play, but they have a relatively limited space. You can explore, take in the world, but there's only so much to take in. 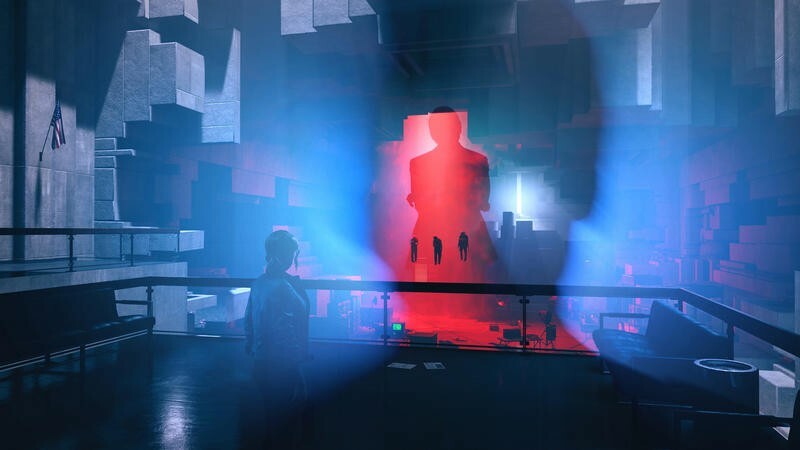 With a shape-changing building full of mysteries, Remedy now has space for you to explore, and many of the abilities Faden acquires will allow her (and you) to reach new places and go back to places you've already been and find new ways of approaching them. Kusarinen suggested that an empty wall might change depending on what you do or even when you do it. This presents a unique challenge, because the team has to make this stuff grokkable without explaining everything about it. The world has to be comprehensible and incomprehensible at the same time. "It was important to us to make sure that all the pieces click. What inspired us early on was this brutalist architectural style, which is all about simplicity of form and materials. You understand what these things are, how they behave, you understand how they react when you say, shoot them or kinetically control them. That set a base that allowed us to create an environment that is consistent, readable, you understand what you see, what you get. And then we have approached new techniques on how to build worlds, relying more on modular systems for instance that allow us to create a sense of repetition. We can create vast spaces quite quickly… and it's been important to use because we didn't want to create this linear small path through the world. It's open ended, different directions you can take. You can tackle the main quest if you want, but there's other opportunities… sidequests, explore areas, other game modes beside just the quest. It was important for us to rethink how we built these environments. 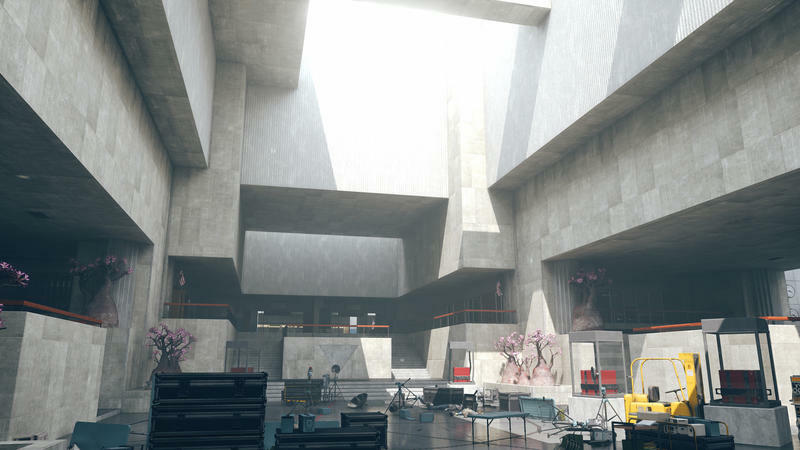 But we take these ideas like a more modular environment, we used procedural systems, the brutalist architecture – it all kind of clicked together. It's a world you can understand, a world that behaves in a consistent way." 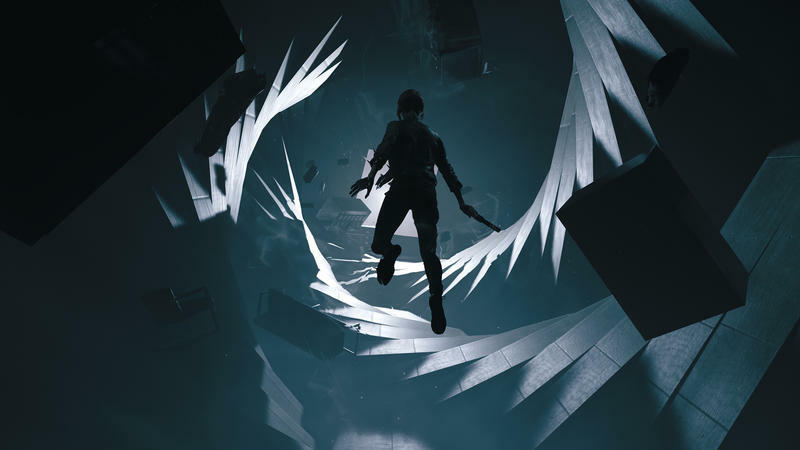 With Control, Kusarinen and his team hope that what draws us in isn't just that the game is fun, that there are achievements to unlock, but that the mysteries of the world itself will be compelling enough to make that metroidvania-style exploration appealing. But to be clear, you're not just going around tugging on light strings and unlocking otherworldly doors. This is an action game. You have a supernatural firearm called the Service Weapon that the team isn't saying much about yet. It can be a standard pistol, but it can transform. The one other form the team has shown, they're calling Shatter. It's a close range form that turns the pistol into something more like a shotgun, allowing Jesse to take on her enemies in groups. There are powers, too. 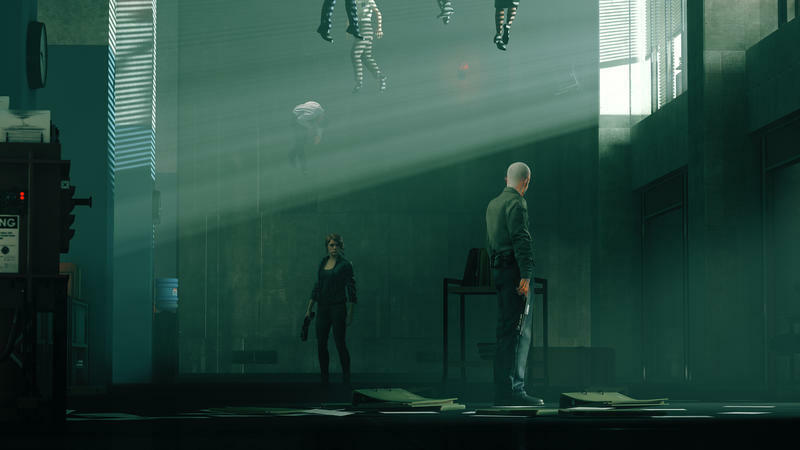 We saw Jesse defend herself and attack with countless items in her environment, we saw her levitate from one area to another. 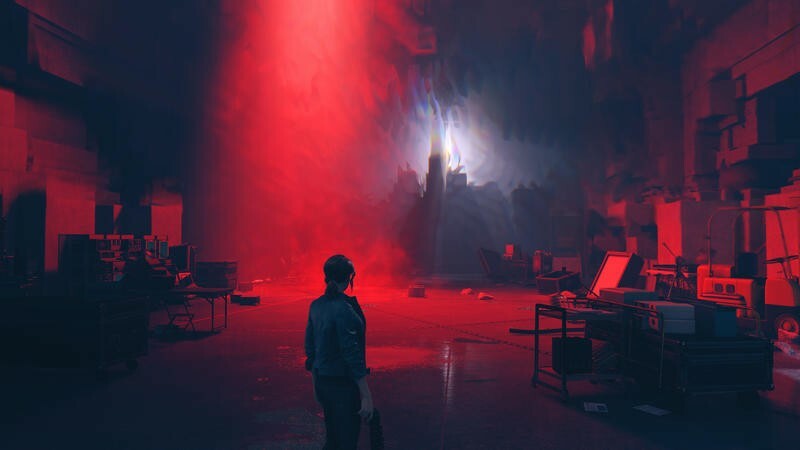 The demo we saw feels very much like a Remedy-made game, but it feels like the game they've been reaching for all this time. And it's really exciting. 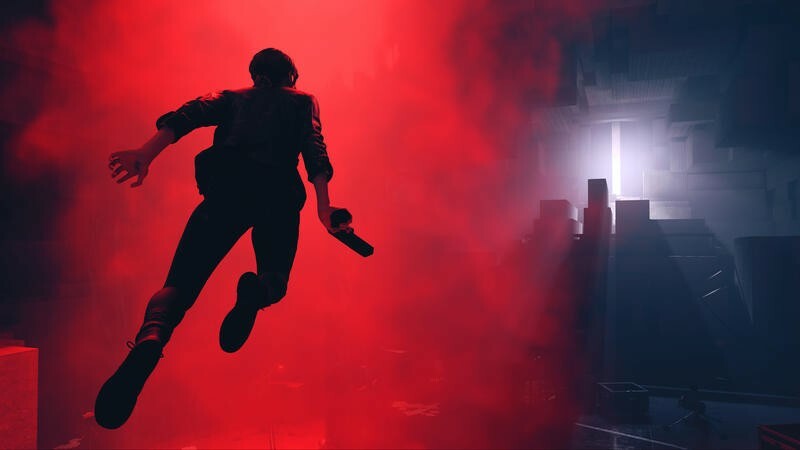 We can't wait to see Control when it hits for PlayStation, Xbox, and PC next year.